Many pilots who fly RVs find it difficult to put the feel of the airplanes into words. They often resort to vague hand-waving, impromptu grinning and finally just stating, “until you fly one, there is no way you can fully understand.” We can certainly present all of the raw numbers for your review – and in fact, all of our performance data for each model is available on this web site. It was obtained through repetitive testing with a accurate instrumentation, over measured courses, with calibrated airspeed systems. All test figures are corrected to standard temperatures. You can realistically expect performance at or very near our published figures, and people who fly our airplanes have found that the numbers we publish are real-world. None of that marketing-numbers hype is presented (or even necessary) here. Absolute speed was never our primary goal. We did, however, strive to make RVs as aerodynamically efficient as possible, and we’ve been pleased with the results. Every RV is quite fast, considering the power available. One beauty of the high top speed you get in an RV is that, while it is available, it’s not necessary. In other words, thanks to the low wing loading, an RV can cruise efficiently at speeds well below the maximum – yet still much quicker and at a higher altitude than most small aircraft – using very fuel-efficient power settings. When flying at lower altitudes “just for the fun of it,” fuel mileage at normal cruise power settings isn’t quite as good as it is at higher altitudes. While sightseeing or cruising around these lower chunks of the sky, we find it enjoyable to use a 40-50% power setting, resulting in a low noise level, smooth engine operation, and low fuel consumption. Under standard sea-level atmospheric conditions, an RV’s takeoff roll at gross weight varies between 300 – 650’. At solo weight, this distance is reduced by as much as 45%. Naturally, larger engines tend to shorten the takeoff roll and increase climb performance. This near Super Cub performance may seem academic when operating from most commercial airports. However, if you enjoy flying into private airstrips and out-of-the-way recreational areas like we do, this capability is quite worthwhile. An added benefit is good performance at high density altitudes. Many high-speed homebuilts are characterized on hot-and-high airstrips by marginal takeoff performance. Not so with the RVs. The STOL capability of RVs allows you to operate comfortably from all but the most rugged “bush” strips. The RV’s excellent climb rate provides an extra margin of safety when operating from such places. Just as the RVs have a wide range of practical cruise speeds, the same is true of climb speeds. Good climb rates and angles are possible at just above takeoff speed for obstacle clearance. More practical climbs are attained at higher speeds, and cross-country climbs at 70% of cruise speed result in only a slight decrease in climb rate. RV control response is excellent throughout the speed range. Ailerons retain some effectiveness right through the stall, and on a low, slow landing approach, where one might expect to find them sluggish, they remain light and quick. The differential action of the ailerons dampens adverse yaw so well that no rudder coordination is needed for light to moderate aileron inputs. Elevator control is positive and quick, varying from light at aft CG to moderate at a forward CG. Rudder control is very positive, remaining effective right down to taxi speeds. Stall characteristics of the RVs are straightforward and predictable. They occur with relatively little pre-stall buffet warning, but at an obviously high angle of attack and slow speed. The break is gentle and control may be regained instantly with normal recovery procedures, often by simply relaxing back-pressure on the stick. The usual altitude loss is 25-50’ and can be held to zero by a quick application of power. There is little tendency to drop a wing unless provoked with a skid or slip. Spin resistance of all RV models is very good. Very definite pro-spin control inputs are necessary to provoke spin entry. Usually spin recovery can be achieved within the first revolution just by relaxing pro-spin control pressures. From fully developed spins, recovery is achieved by application of normal anti-spin control inputs. Directional and pitch stability are positive for all loading conditions. Roll stability is neutral, not uncommon in short span airplanes with low dihedral angles. Rudder turn and side-slip qualities are quite normal, but rarely needed except in crosswind landings, which RVs handle nicely. Unlike many taildraggers, RVs are well mannered on the ground. Their directional control is similar to a Citabria or SuperCub, but with lighter control pressures. Ground handling qualities of the tri-gear models are, as might be expected, even easier than those of the taildragger RVs. The free-castering nose wheel permits easy steering with the rudder alone at anything above low taxi speed. At low taxi speeds, differential braking maneuvers the airplane easily, even through tight spots and crowded ramps. In-flight visibility is exceptional. The sloping nose and large canopy give the pilot an almost unobstructed view of the sky. The nose is low enough that most pilots new to the RV will find themselves climbing when their conditioned vision tells them they are level. Rearward visibility through the RV-4 and RV-8/8A bubble canopies is similarly excellent; it is also remarkably good through the gentle slope of the canopy and rear windows of the RV-7/7A, and RV-9/9A. 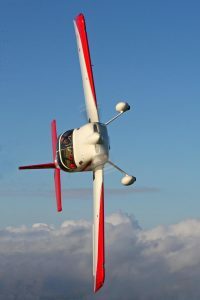 The RV-14/14A retains the unrestricted bubble canopy of the RV-7/9, but has even better visibility sideways and down. The RV-12iS, by seating its occupants so far forward of the wing, may provide the best of all worlds – the bubble canopy of the low wings, and downward visibility almost as good as a high-wing. Taxi visibility in the tandem and tricycle models allow the pilot to see forward over the nose, and only in extreme conditions is S-turning needed. Forward visibility in the side-by-side taildraggers is not quite as good, but still offers straight ahead taxi visibility under most conditions. Aerobatic capability has always been important in any true sportplane. While aerobatic flying provides valuable unusual attitude familiarization, its main purpose is simply fun. It may be the ultimate expression of the uninhibited joy of flight. By virtue of their wide speed range and relatively low wing loading, the RVs are quite good aerobatic aircraft. Roll rates are in excess of 140 deg/sec for the RV-4, RV-7/7A, and RV-8/8A and just slightly slower in the RV-14/14A. There is practically no adverse yaw – beautifully smooth rolls can be done with feet flat on the floor. The high inertia and low drag of the RVs permit nice loops at very low G-loads. It is possible to perform a series of aerobatic maneuvers at cruise power, not exceed 3 or 4 G, and gain altitude at the same time. Although RVs are capable aerobatic aircraft, we do not recommend them for serious competition aerobatics. Their high speed is not suited to the restricted competition zones. In order to stay “in the box’’ they would have to fly slower and lose the benefit of inertia, or keep the speed up and pull too many Gs. Because of their low stall speed, the maneuvering speed (maximum full control application speed) is in the 135 mph range. 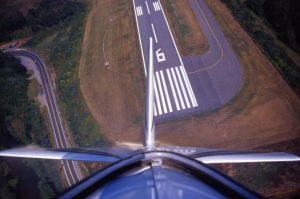 Thus, aerobatic safety in the RVs is highly dependent on pilot technique. The RV-3B, RV-4, RV-7/7A, RV-8/8A and RV-14/14A have been designed for the operational stress limits of the aerobatic category (+6.0/-3.0 G) at and below their aerobatic gross weights. The operational stress limits for these aircraft between their aerobatic gross weights and their maximum design gross weights are utility category (+4.4/-1.75 G). The RV-9/9A, RV-10 and RV-12 are not designed for aerobatic flight. The design operational stress limit for the RV-9/9A is utility category (+4.4/-1.75 G) at less than 1600 pound gross weight and is standard category (+3.8/-1.5 G) between 1600 pounds and the aircraft’s design gross weight. The design operational stress limit for the RV-10 is standard category (+3.8/-1.5 G). No RV should ever be operated above its design gross weight limit. We recommend that RV pilots limit themselves to what we like to call “sport” aerobatics; aerobatic maneuvers done solely for the enjoyment to the pilot rather than of spectators or judges. These maneuvers can be tailored to be gentle to both the airplane and the pilot. 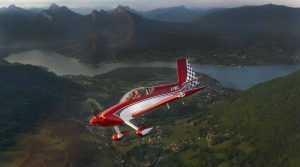 RVs can perform all the usual aerobatic maneuvers (loops, rolls, Immelman turns, horizontal 8s, etc.) very easily and gracefully at low G loads. They rarely need to dive to attain entry speeds. We have found, for instance, that in the RV-4, loops can be entered from level flight and successfully completed on 40% power. We could go on and on with such examples, but this should give you some idea of the effortless agility that awaits you in an RV. Numbers can’t define the harmony and responsiveness of an RV any more than language can define music. The universal expression found on the faces of pilots who have just flown one – the “RV Grin” – is probably the best definition of RV flying qualities we can find.